Dubrovnik is city rich with culture and history so it is listed in UNESCO World Heritage List. Dubrovnik old city was built in the 13th century and remains almost untouched to the present day. There are two main portals to the old town, Pile and Ploce, both leading to the Stradun, the Dubrovnik’s main boulevard. Tall walls surround Dubrovnik Old Town. Many visitors enjoy people-watching whilst sipping coffee in one of the numerous cosy cafes on the Stradun. 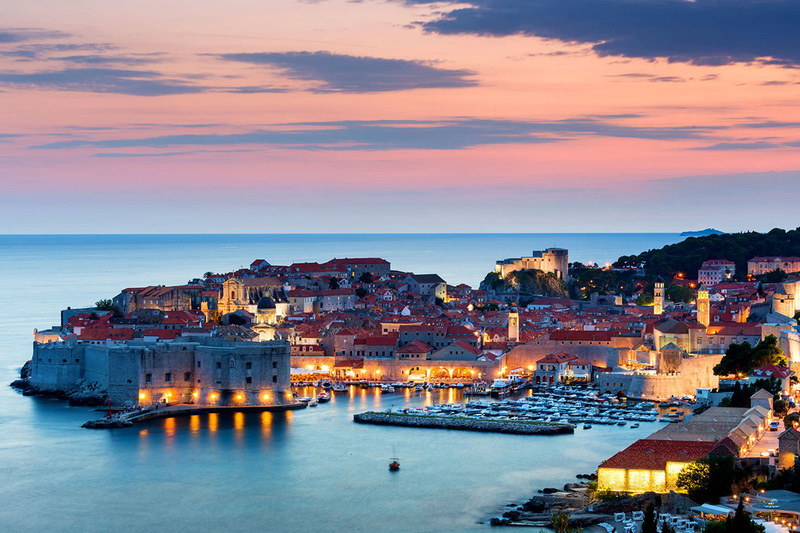 Dubrovnik has a rich cultural life that includes Dubrovnik theatre, several cinemas as well as Dubrovnik Film Festival and Dubrovnik Summer Festival, held every year in July and August. Split is the main city in Dalmatia. It is one of the largest cites in Croatia, and is the largest city on the Croatia Adriatic coast. 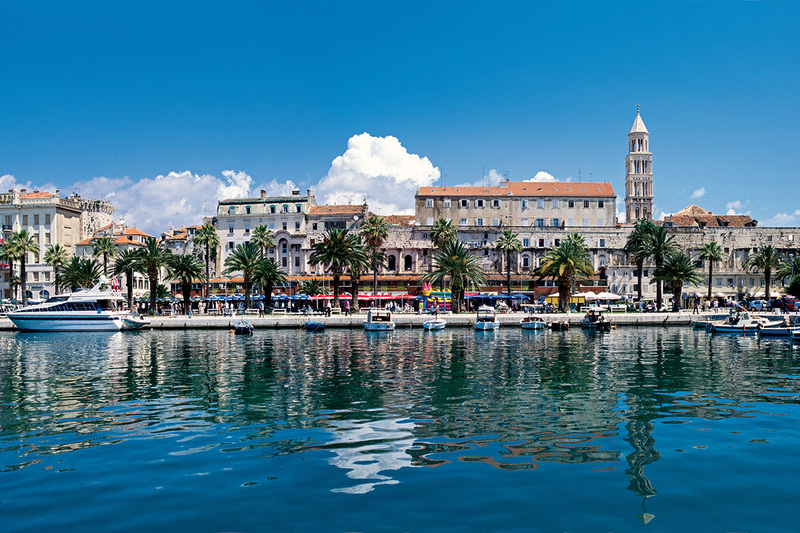 The city was first settled when, at the end of the third century AD, the Roman Emperor Diocletian built his palace on the site of today’s Split. Diocletian’s Palace is well preserved Roman palace located now in the very heart of Split. Many of its historical and cultural monuments are located within the walls of Diocletian’s Palace. One of them is Peristile, the main open space in the palace with it’s colonnade of six columns and the cathedral on eastern side of the square is site not to be missed in Split. Split has it’s own airport that connects it with Zagreb, as well as other international cities. Various ferry lines connect Split with the nearby Adriatic islands and there is a coastal ferry service between the city and Rijeka to the north and Dubrovnik to the south. There are also daily ferries during the summer that connects Split and Ancona in Italy. Trogir, set on a small island less than an hour from Split, is one of the most seductive towns on the Dalmatian coast. Its weathered Romanesque and Venetian-Gothic palaces, churches and monasteries fanning from its antique square have put Trogir on the UNESCO list of world heritage sites. A stone bridge makes it accessible from the mainland, a mobile bridge connects it with the island of Ciovo. Originally it was a Greek colony. The city was founded in the third century by the Greeks from Syracuse and it was called Tragurion (Goat Island). After Greeks the city was ruled by Romans, Venetians, French, Austrian Italian and Germans. 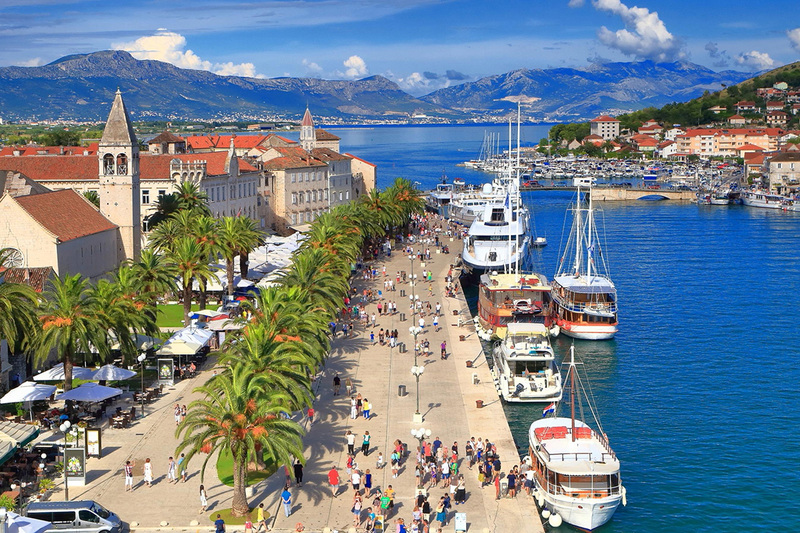 Apart from many interesting architectural and historical sites, Trogir offers a warm climate, lush green surroundings, and a number of good restaurants, cafes and bars. Zadar is a Croatian city located between Rijeka and Split, not far away from Sibenik. It is a few thousand years old town and it was the capital of Dalmatia for many centuries. The Zadar peninsula still preserves very old network of narrow and charming city streets, as well as a Roman forum dating back to the first century AD. The pre-Romanesque Church of St. Donat dates back to the 9th century, and it is certainly Zadar’s most famous spot. The town is also well known for having the attractive Romanesque churches. 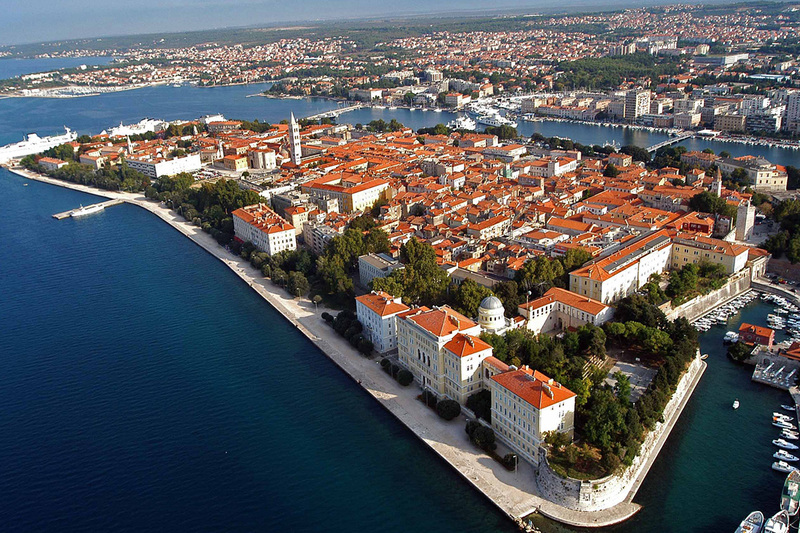 Throughout history, Zadar was the centre of key Croatian and Dalmatian cultural events: the establishment of the first Croatian university (1396), the writing of the first Croatian novel (1536) and the publication of the first Croatian newspaper. The famous permanent exhibition of sacral art and the traditional St. Donat Musical Evenings represent only a small part of numerous cultural events that Zadar offers to its visitors. Zagreb is the capital of Croatia. It lies on the crossroads of important routes between the Adriatic coast and Central Europe. the city has it’s own airport – Pleso. Zagreb as a city has Baroque ambience of the Gornji Grad, charming markets, various shopping facilities, as well as choice of various small and larger restaurants and hotels. Zagreb is a city of green parks and walks, with many places to visit. Zagreb still keeps its charm, and a atmosphere that makes it a unique city. Zagreb has rich historical and cultural heritage that has roots in Central European urban culture, enriched by Mediterranean and Balkan traditions. The city population is about one million. It has good public transport, clean streets and squares, well kept parks, twenty theatres and over forty museums and galleries. Its numerous neo-classical buildings, spacious boulevards and squares reminds one of Vienna. 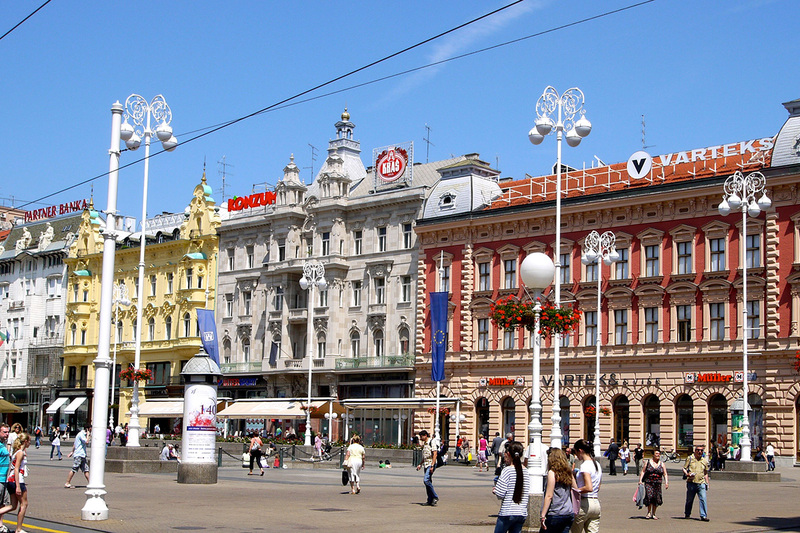 Zagreb city centre consists of four districts: Ban Josip Jelačić. – Zagreb’s main square, Kaptol and Gornji Grad (Upper town) with it’s hilly location in the centre with cathedral and government’s buildings, Gradec with it’s charming squares and leafy streets and Donji grad (Lower town) – a busy business centre of Zagreb.